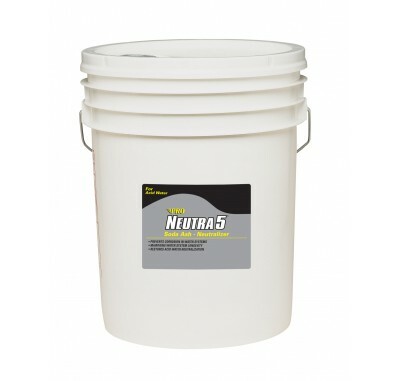 Designed for potable water systems, Neutra 5 is NSF 60 certified and produced in the USA to demanding standards. Similar to the effect of adding Soda Ash, Neutra 5 will raise the pH of your water and prevent corrosion quickly and easily. Neutralize your acid water condition before corrosion causes a real problem. NSF Standard 60 certified. Neutralizes acid water and prevents corrosion. Made in the USA. 40 lb pail.